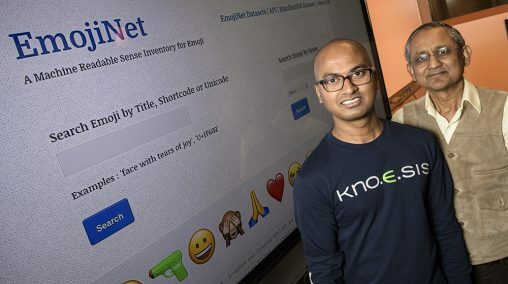 Two years ago, Sanjaya Wijeratne—a computer science Ph.D. student at Wright State University—noticed something odd in his research. He was studying the communication of gang members on Twitter. Among the grandstanding about drugs and money, he found gang members repeatedly dropping the ⛽ emoji in their tweets. That moment caused Wijeratne to redirected his Ph.D. research toward emoji. This week, he put together the first interdisciplinary academic conference on emoji in research. At Stanford University this week, a collection of linguists, data scientists, computer researchers, and emoji enthusiasts gathered for the International Workshop on Emoji Understanding and Applications in Social Media, itself a smaller piece of the AAAI Conference on Web and Social Media. They brought with them research on how emoji are changing the way we communicate online, how gender and political affiliation are reproduced online through emoji, and the challenges emoji pose for natural-language processing in computers. Read the article from Wired.